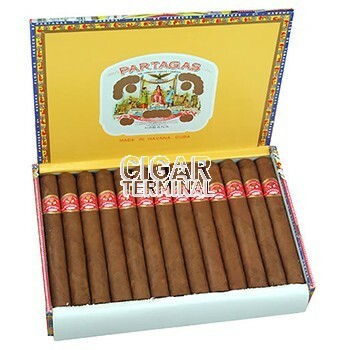 The Partagas Aristocrats is a very good option for a strong cigar and when the time is of the essence. Goes perfectly along with liquor or after a nice meal. •	Complex cigar, with creamy coffee flavors, notes of wood and of cocoa in addition to the dominant tobacco flavor. This cigar simply delivers the Partagas experience at a lesser cost. The Partagas Aristocrats is fully hand-made, and this gives it a rustic kind of look. Nevertheless, the construction is very nice, the cigar is quite firm and tight, and it is also box pressed. The wrapper has a nice dark maduro color. At cold, the Partagas Aristocrats smells of hay and of citrus. The cold draw releases a subtle woody flavor, mixed with a nice earthy flavor. One can also notice a note of cheese. The Partagas Aristocrats cuts very easily and after it, the draw can be a bit tight, but it opens up in the first third. The burn line is a bit uneven, but that doesn’t affect the quality of the smoke. The amount of smoke generated from this stogie is rather normal but the ashes hold firm, without any flakes. Once lit, the Partagas Aristocrats greets you with a familiar tobacco taste that is typical of Partagas, however, it is very soft, very mellow with also some nutty notes. Alongside, we can also detect some woody flavors, forest-ground like. But what balances the softness of this first third is the mild peppery taste that kicks in in the early third. The spicy notes, of green pepper, continue on and some bitterness from coffee also arises. As secondary smoking flavors, we can notice some cheese-like hints and some cocoa. In the second third, the Partagas Aristocrats becomes creamier. The cigar goes on with the same smooth flavors of cedar and toasted tobacco. Despite the creaminess of the cigar, it starts to show some character, and it is getting a bit stronger, while not being too aggressive. Subtle touches of bitterness from coffee or salt also appear and reveal the complexity of the cigar. There are also some discreet notes of leather that makes the whole cigar a bit stronger than the first third. In the last third, the Partagas Aristocrats continues on with the same flavor profile of strong toasted tobacco, joined by fresh woody flavors, even some sawed pine. There are once again some tastes of coffee, and a nice zing of pepper. Somehow, the cigar is finishing where it started, with the exception of some pleasing notes of flowers, heather, nuts and of tar. In summary, the Partagas Aristocrats is a very nice cigar, thanks to its impeccable construction. All this makes the famous Partagas taste available at a lesser cost.